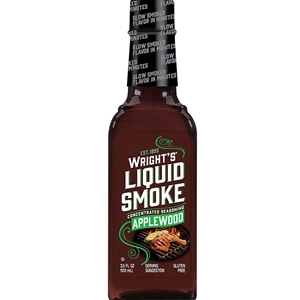 Bring real smokehouse flavor into your kitchen with Wright’s Applewood, natural seasoning. Enjoy real smoked flavor in minutes with Wright’s. Ingredients: smoke flavor, red apple flavor, maple syrup flavor, apple wood smoke flavor.